All legitimate answers. The reality though is that advances like SEO, social media, eCommerce, Skype, and overnight couriers have obliterated borders. Whereas all but the most ambitious small businesses were once confined to their local markets, now even a one-person home business has the ability to establish itself internationally. No matter what products or services you sell, there is a world of opportunities waiting to be explored. Likewise, your choice of business resources, whether you want to create a marketing strategy, undertake an SEO campaign, develop a new Website, or launch some other element of your marketing, can come from anywhere on the planet. My local market is, as the title suggests, St. John’s, NL, Canada. The “NL” is Newfoundland and Labrador by the way, not the Netherlands. I grew up in Corner Brook (in Western Newfoundland) and Clarenville (in Central Newfoundland). I have presented social media seminars and discussed marketing strategies with businesses in every part of the province. I have been in communities from St. Shott’s to St. Anthony and from Harbour Breton to Happy Valley-Goose Bay. 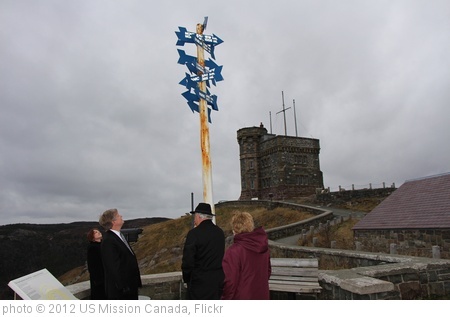 I know and love Newfoundland and Labrador’s many communities, cultures, and colloquialisms. Similarly, marketing consultants in Nova Scotia and Prince Edward Island know their markets well. The same holds true for those in Alpharetta GA just as it does for those in Arad, Romania. Consultants everywhere will generally be experts in their home markets. However, in this new global market, more and more businesses are finding not only new markets but new suppliers and resources in places that were once far beyond their reach. If you prefer to deal with someone face to face, and are able to find someone you trust nearby, then by all means go for it. But if you’re not finding the right fit locally, you are never out of options. A Website designer in St. John’s NL or Charlottetown PEI or San Jose California may prove to be an excellent partner. One of my closest client relationships is with a client over 4,300 km (more than 2,700 miles) away from me. They’re in in Calgary, Alberta and I’m in St. John’s, but we’re constantly in touch through email, phone, Skype, and text messages. Distance is not a limiting factor between them and me. Don’t let it be one for you and the consultant you need, wherever that person may be. Would you hire a Website designer in St. John’s? The answer no longer depends on how close you happen to be. It depends on how far you want to go. I totally get why it’s much easier to hire someone closer from you. However I also consider hiring someone offshore. Because of the availability of talents when you’re open to hiring world wide. Hiring a Web Designer doesn’t have to be that expensive. With the right and helpful strategies, looking for someone exceptional will be pretty easy.